Campbelltown residents can expect to pay more for water because of the state government’s mismanagement of water shortages, says MP Greg Warren. There are strong indications the dramatic decline in Sydney’s dam levels will result in the Kurnell Desalination plant being switched on as early as this weekend. Subsequent household water bills are estimated to rise by around $40 each year once the desalination plant is switched on. The plant was built by the former Labor state government and was privatised by the Liberal government in 2012. It has been switched off since 2012, with taxpayers forking out more than $530 million to keep the privatised facility in a state of hibernation. 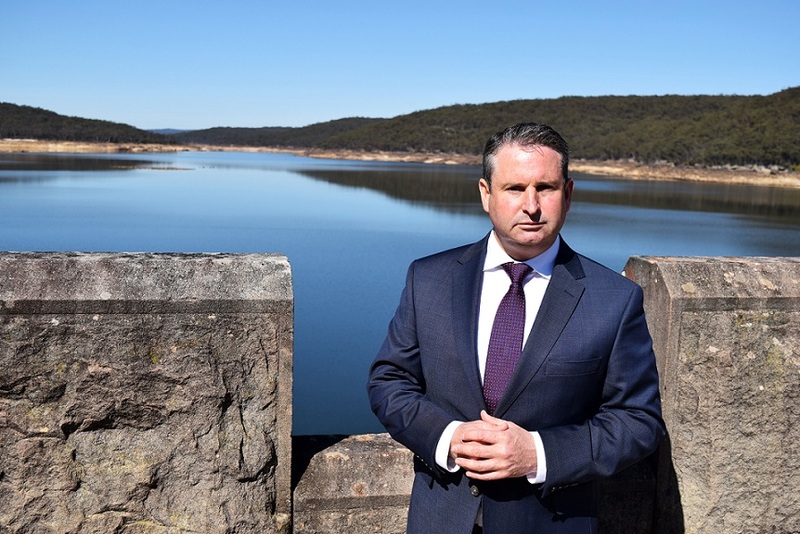 “If the crisis wasn’t concerning enough, residents can now expect to pay almost $40 more a year while the desalination plant remains in operation,’’ said the Campbelltown MP, pictured above. 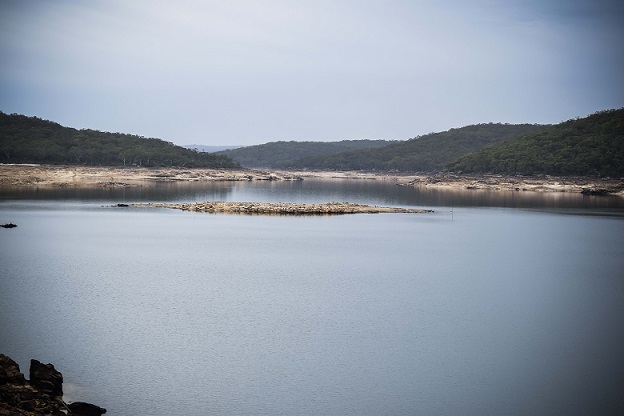 Mr Warren raised the issue of the dramatic decline in local dam levels in early 2017, however Premier Gladys Berejiklian has failed to take any action or put in place any measures to curb the problem. He has been particularly concerned with the diminishing level of Cataract Dam – which is now only 27 per cent full compared to 82 per cent full this time last year. The dam has become so dry that rock islands which are usually well sub-merged are now clearly visible. Cataract Dam (below) and Cordeaux Dam are the two main dams that supply Macarthur residents with their drinking water. The demand placed on those two dams will only increase with the region in the midst of an unprecedented population boom. “I first raised this issue almost 12 months ago,’’ says Mr Warren. “I warned the relevant ministers that the situation was desperately urgent yet it took almost a year for them to finally act.